I've been locked up for 264 days. Shatter Me was not good. Prior to picking it up, I had heard a lot of mixed things about this book but I wanted to give it a go since I had heard a lot about the unique writing style, and the slightly crazy main character. Those always draw me in. Also, Judith told me that Warner was evil and also slightly crazy. Obviously, I assumed we were meant to be. Unfortunately for me, the only thing I did like about this was the writing style. The prose was very poetic, some might say purple, and it definitely isn't for everyone, as you can probably tell from the vast number of negative reviews that comment on the Mafi's style. I, however, really liked it. Juliette's narrative was intriguing, since she was locked up in a mental ward (? or something) for ages, and she'd been driven mad. Lots of words were scribbled out, there were single words that were repeated for an entire page, and Juliette often backtracked with what she was saying. It was all very unique, and probably the only thing that kept me reading - or, rather, skim reading - until the end. Now, I had a few issues with this book, which led me to rate this book as Troll. The first thing is the characters, which are a very important factor in any novel. 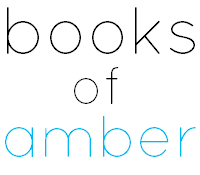 I have to feel some connection to them in order to enjoy the book, otherwise I find myself feeling very indifferent towards their journey and I wouldn't care less if they were to dive off a cliff. Juliette, while I liked her narrative, was a boring character once the initial introduction was out of the way. She spent the entire novel talking about Adam, and then Warner, and then Adam again. I would have loved for her to dive into her history some more, and the history of the world, but instead her "journey" was very romance-focussed. I wasn't interested, despite loving the fact that she was nuts. There are two guys in this novel, of course. Adam, the hero-type, who shows up at the beginning and refuses to bloody well leave. I was not a fan of him from the get-go, because he came across as a complete arse. I can't say that I know much about his character, since little was said about him. Or perhaps it was, and I just wasn't paying attention. He wasn't charismatic at all, which meant he wasn't hot, and which meant that I couldn't get invested in him. Then there is Warner, who is the evil guy slash potential future love interest. Like I said, Judith had been telling me that I would probably love Warner. She knows about my fascination with evil characters. I can't help it. But Warner was a complete lunatic, abusive, and I didn't understand his motive at all. Again, I may not have been paying proper attention, but as a villain he kind of sucked. I'm disappointed, because I was so ready for another Darkling, and instead all I got was a half-arsed villain who I think was only there to be the third side of the love triangle. That leads me nicely to the romance. 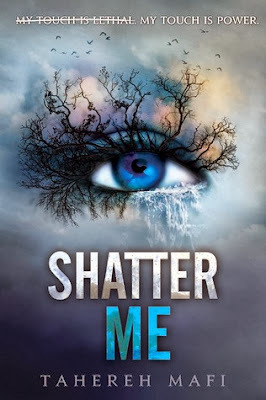 Shatter Me isn't a dystopian at all, and I hate that it's being marketed as such. It's a romance novel, masquerading as a dystopian, which is one of my pet peeves. Why do this? If you want to tell a romance then just bloody well do it, and don't be afraid to call it what it is. Don't attempt to hide the true plot behind a thinly veiled dystopian curtain. Do authors and publishers just do this for the money? I got slightly off track there. What I was going to say is that the romance drove me crazy. It was everywhere I turned, and I couldn't escape it. Juliette meets Adam in the first couple of pages, and suddenly her entire world changes. Because of a boy. And there's instalove. One could argue that Adam and Juliette had a history, but since that history was barely touched upon, I don't count it. I wasn't given enough backstory on these two to not call their romance instalove. Of course, there's a slight love triangle. Something about kissing Warner and Warner fancying Juliette. Why turn the evil, homicidal villain into a love interest? By that point, I had stopped paying attention and I just wanted the bloody book to end. Aaaaand, that's all I really have to say. I don't want to bash this book too much, because it's not absolutely appalling, it's just very bad. It lacks character development, backstories, world building... Things that I consider crucial in any good novel, especially a dystopian. I'm not going to be reading the rest of this series, but I have already read the recap of Unravel Me on Recaptains just to see what happens. Hey, I'm a curious person. I found the writing super crazy, not very appealing at all. It was poetic and Juliette's cuckoo style was too much. She was sooooo boring and so plain and just overall so frustrating I was pulling my hair out. Adam was okay I guess. Warner, like you said is a real half-arsed villain. Just a tantrum-throwing sissy. I can understand why you didn't like Warner, but OMG I love him! I do have a thing for the villainous characters and there was just something about him that drew me in and won't let me go! Well then. Our round two of Epic Recs was a complete failure. (Though technically round 1 for me, because I am a failure too but who's keeping track.) A lot of the things you said were things that started to bother me slightly in Unravel Me. The first book I loved and especially because the writing is so incredibly beautiful, but in Unravel Me I wanted more world-building. I'm not even *that* excited about Ignite Me. But we'll see. Aaaaaaaanyway, we need to discuss what we're gonna do with Epic Recs next month. And stuff. Very interesting to read your thoughts on this one! I recently downloaded the audio book and now I'm really curious as to how it's going to translate to audio since you mentioned words being scribbled out and all that. I haven't listened to it because I have yet to read Unravel Me. I loved this book,but I can understand why you didn't.Juliette was not a tolerable heroine and the writing can be a little complicated.But at the time when I read it,it seemed unique and original. I really liked the writing style, I just hated the characters. All of them. I'm with you on both Adam and Warner, they both are not attractive AT ALL. Adam seems a little too picture-perfect for me. The way Juliette describes him, he might have well created the entire planet. Warner, meanwhile, was everything you said: a lunatic, abusive, and just plain UGH. HAHAHHA. "He might have well created the entire planet." I love this, I may steal it.